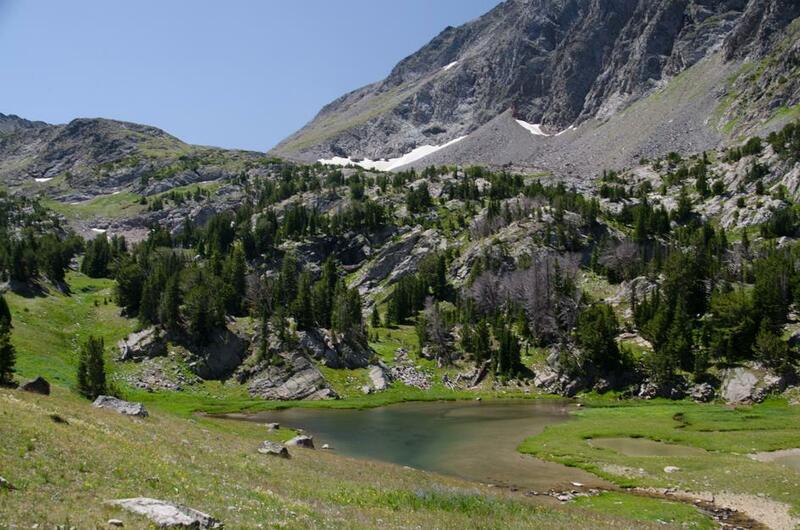 Tumbledown Lake is located in the the Madison Range and is considered a quintessential hike in the Taylor Fork region. 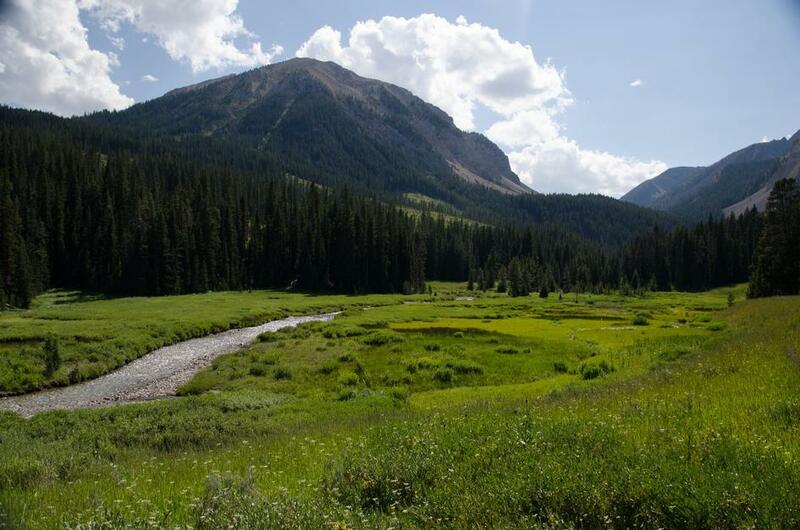 The trail winds through open meadows, past waterfalls, into a thick conifer forest and up to a giant basin filled with wild flowers. The variety in landscapes and unique rock formations are what make this trail so memorable. 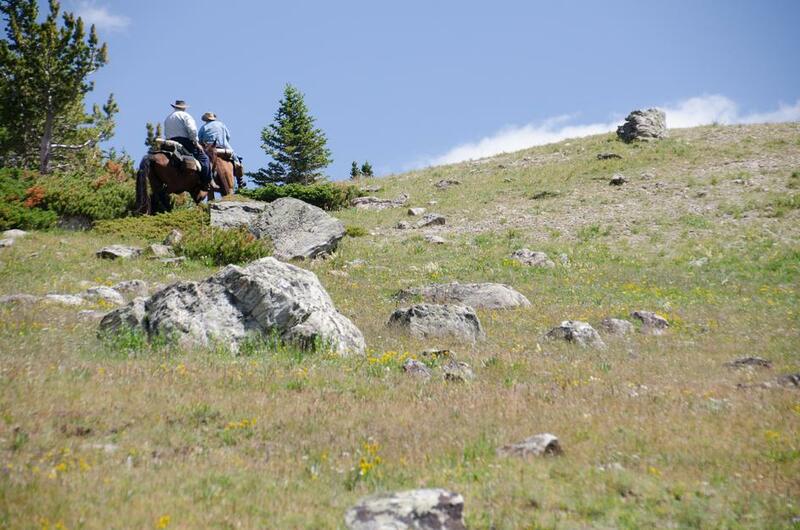 It's the perfect way to experience some of the Greater Yellowstone Ecosystem without entering the Park. 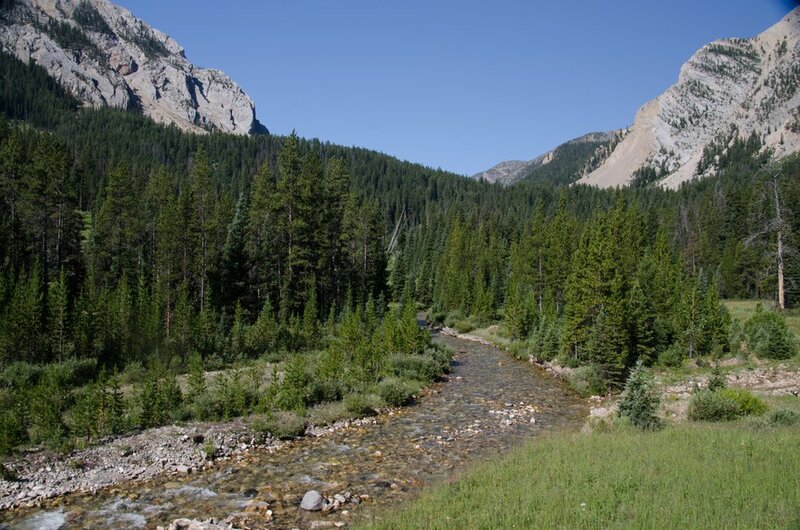 From Bozeman, head south on US-191 past Big Sky for 55 miles. When you cross a small river, look at the green sign on your right. If it says "Taylor Fork", you're close to your next turn. 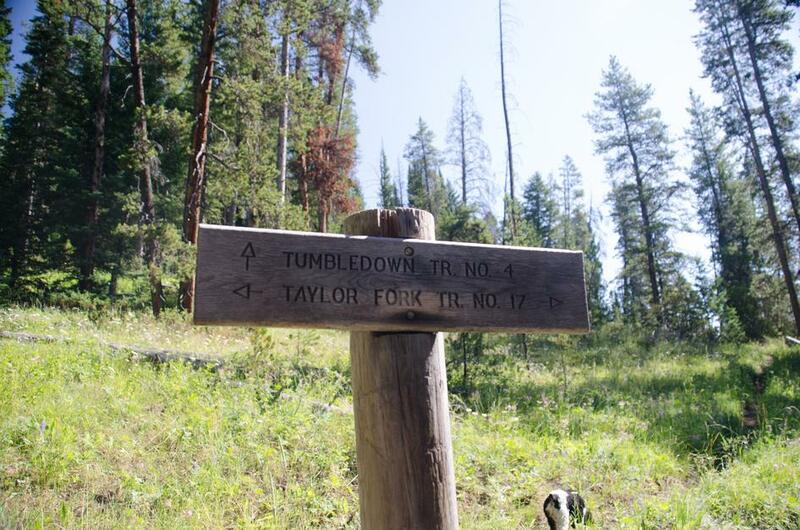 Once you cross the Taylor Fork, take your next right. It's a nondescript gravel road with a sign for "Nine Quarter Circle Ranch". Once you make this turn, you have about ten miles of maintained gravel left. Stay on Taylor Fork Road (NF-134) for 7.7 miles. Note that the road crosses through private land, but it is a public road. 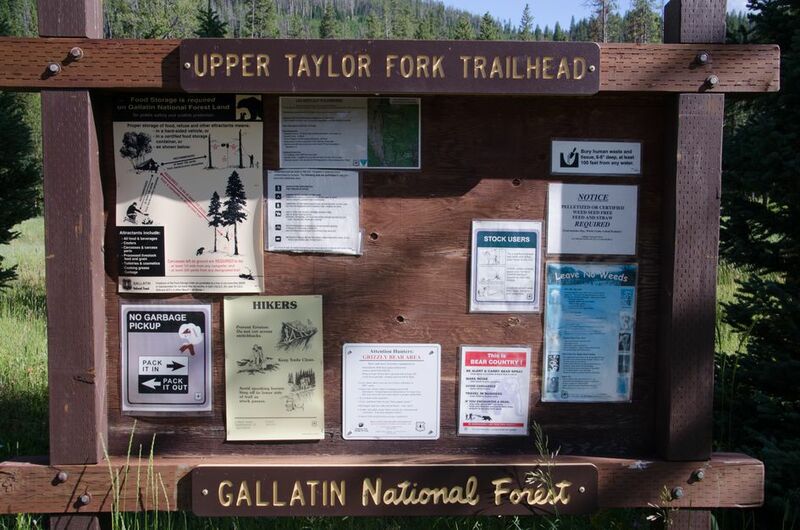 After the 7.7 miles you'll see a sign that directs you down and to the left onto FS-1347 towards the Upper Taylor Fork/Lightening Creek Trailhead. Head another 3 miles and you'll see the trailhead and parking area to your left. 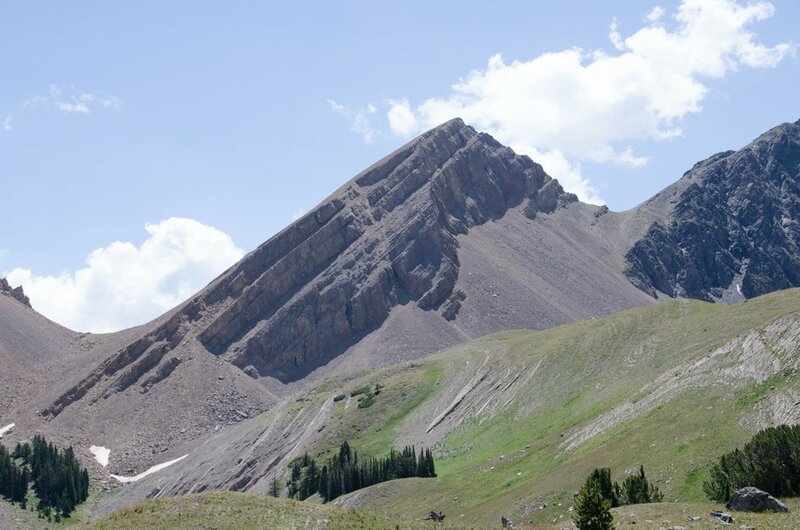 You will enjoy a gradual incline for the first 2 miles of the hike, then it becomes much steeper gaining 2000 feet in elevation over the remaining 3 miles. Averaging roughly 1.3 miles per hour, it will take you about 4 hours to get to the top. With a 45 minute break at the lake the round trip time is approximately 8 hours. 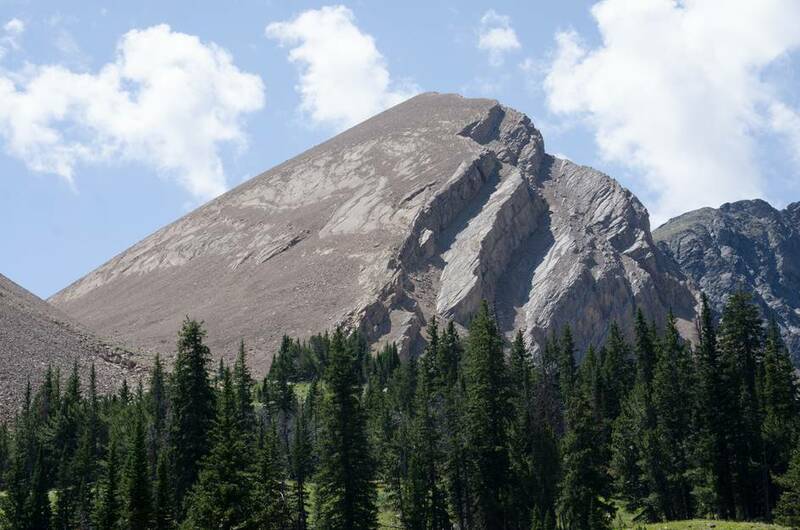 This route starts at 7270 feet above sea level and ends at 9449 feet. 2000 feet of the elevation is gained in the last three miles of the hike. 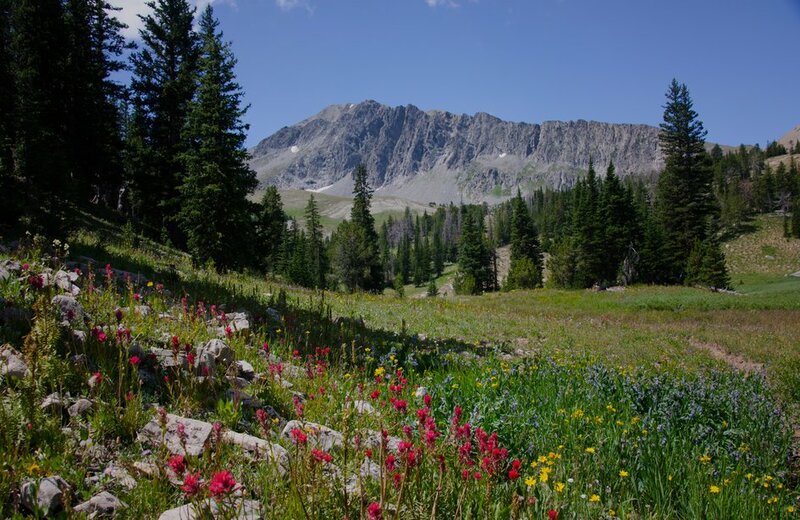 Tumbledown Lake sits in a giant basin filled with colorful wildflowers and is surrounded by towering peaks. Be sure to get a closer look at the lake so you don't miss the mysterious way the water flows from the outlet in to what appears to be a hole in the ground. 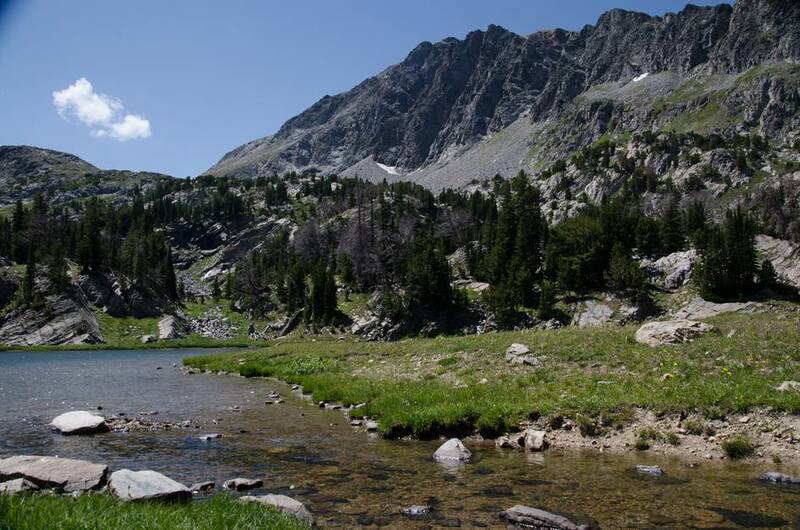 The trail runs along a creak, crosses a river and ends at a lake. There is no shortage of water if you're planning on pumping. 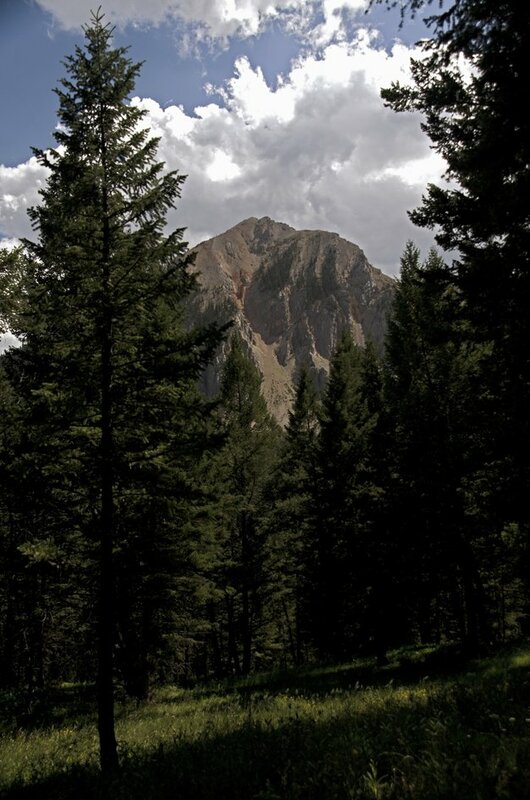 This is a long day hike that will require a lunch or a large snack or two. The trail is well beaten and easy to follow. There may be some muddy spots if it has rained recently and you should be prepared for several water crossing that will force you to remove your shoes/boots. Expect snow into July and beginning again in late September. Plenty of shade and water to keep your dog hydrated and cool. You may condsider bringing a leash in case you encounter any wildlife along the trail. There's roughly ten miles of well maintained gravel road while approaching the trailhead. 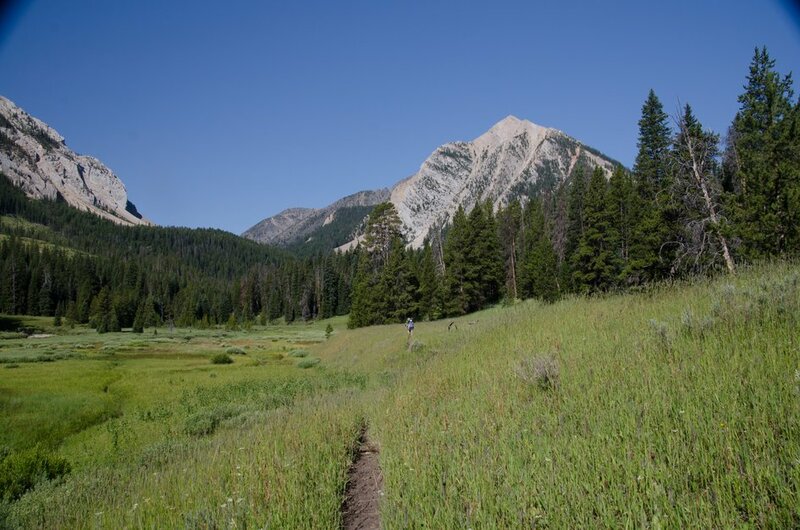 Beartooth Publishing's Big Sky Area covers this trail and those around it. The trailhead is located within a campground, so there are several designated parking areas along with several spots just for hikers. Plan ahead. 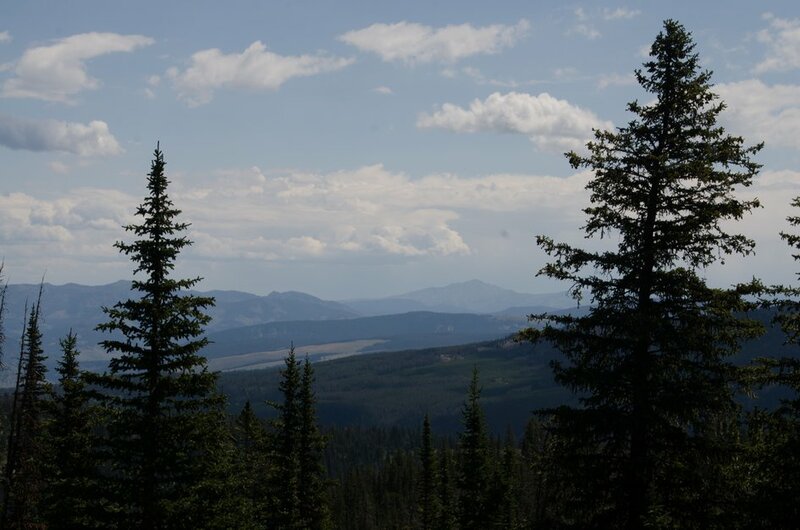 There is a bathroom at the Lower Wapiti trailhead that you will pass about 5 miles east of the Upper Taylor Fork trailhead. The trailhead is located about 10 miles off of Hwy 191 which seems to be a detterent for a lot of tourists. You will definietly encounter other hikers on the trail, but you will also be able to enjoy long periods of peace and quiet. Sun protection is a good idea as about half of the hike is exposed. Additionally, much of the trail is grassy. Light synthetics, including long pants will be a good idea. Be prepared for wind and cooler temps as you reach the higher elevations with extra layers. There are two stream crossings early on in the hike. 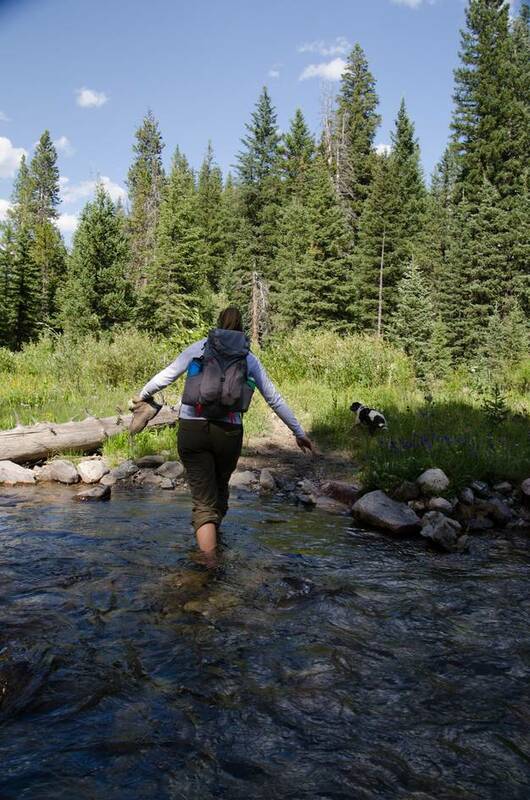 Consider bringing water shoes to keep your feet from slipping or getting cut on the rocks. You can stash the extra shoes near the creek so you don't have to carry them for the whole hike. 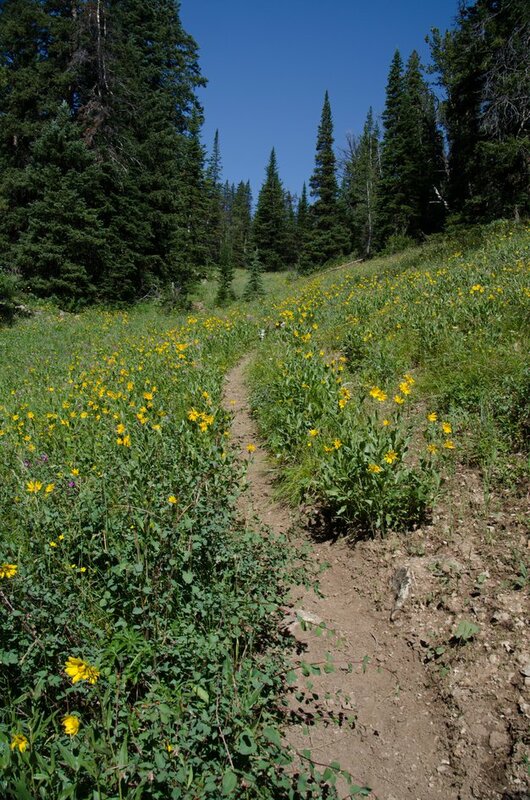 The trail takes you through tall grass and trees so there is a potential for bugs, but if you forget the bug spray you will probably be fine without it. 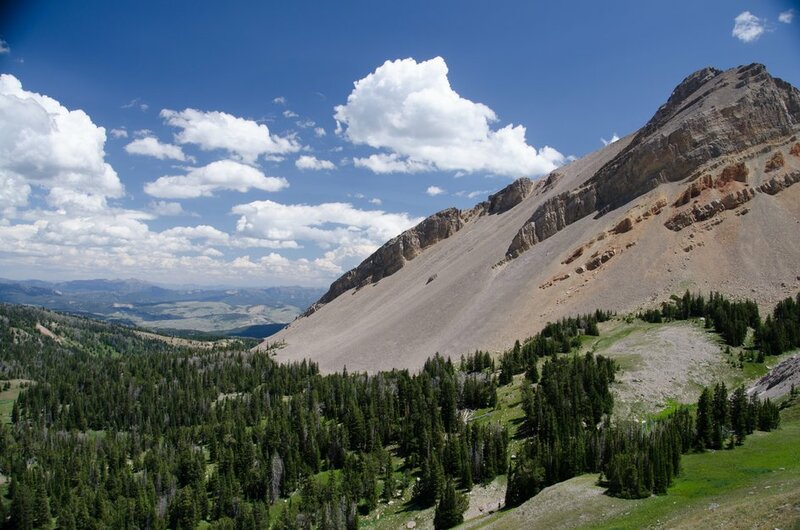 You will be in and out of shade for the majority of this hike. When you reach the basin you will be fully exposed to the sun and the wind. There will not be any cell service on the Verizon network. You will need a paper map for navigation—do not rely on your phone. 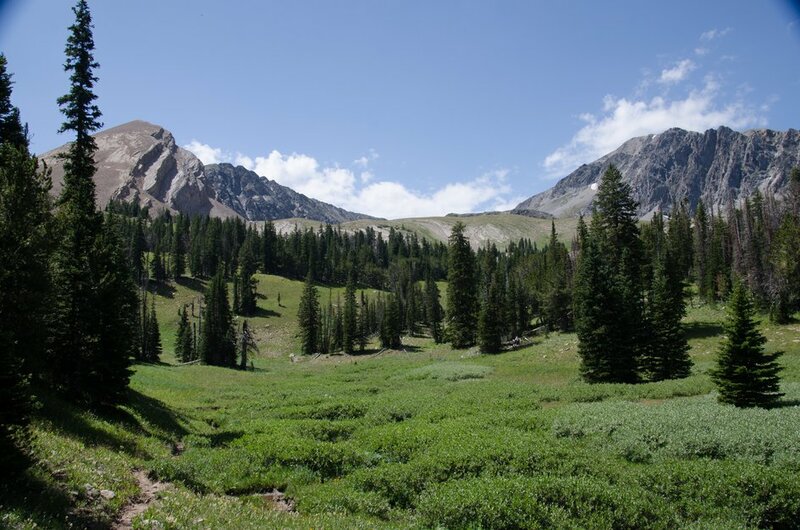 The large basin at the end of the hike provides ample camping spots surrounded by views of towering peaks. The lake is a convenient water source, but a little too shallow for fishing. If your planning on staying the night be prepared for intense winds and use proper bear safety. Rather than hooking a right up the hill on trail #4, continue onward on #17 for .3 miles for a beautiful view of Taylor Falls. An official alternative to the unofficial trail below, #6330 heads North towards another network of trails on the North side of the Taylor Hilgard Unit. When standing at Tumbledown Lake, you can see a pass to your Northeast and some foot trails that lead up to it. Hike over this pass and down the valley to eventually meet up with trail #6329 and the potential to see some lakes. Note, this is not an official trail, scout it out on Google Maps first and be sure of your route finding abilities.